It is a triplex mud pump – Some drilling applications may require higher pump pressure, and this is where a triplex mud pump can be ideal, particularly for oil drilling. This type of mud pump has three pistons, where the middle generates more pressure to the crankshaft. However, you need to be careful with high piston loads as they can cause too much pressure and lead to the cracking or failure of the crankshaft. Gardner Denver reduces the working fluid’s volume as it is being discharged, so more pressure can be generated to enable the flow. 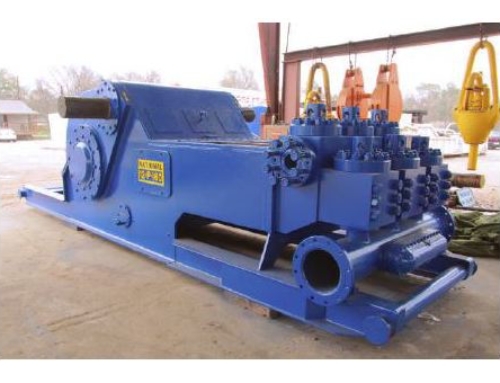 You can get them brand new or used – Here at Henderson Rigs & Equipment, you can get a new Gardner Denver mud pump for sale at the best price. Get in touch with us to learn about the PZ-11 1600hp mud pump skid mounted model, which was manufactured in 2006, but was never used. The unit does not have a bullwheel or traction motors. Rest assured, used equipment for sale here are in good working condition. Compare Gardner Denver mud pumps with other brands – A Gardner Denver mud pump may be known for its reliability and durability, along with its light weight and high amount of power. However, you should make sure that it is exactly what you need. Hence, we recommend comparing the Gardner Denver mud pump for sale with other mud pumps we have. If you need help, get in touch with us for advice.